Yoga is so much more than just the poses we visit on our mats; it’s an all-encompassing lifestyle that promotes positive well-being and harmony. Take your practice off the mat and extend that wisdom to your surroundings to support the greater good of every person you come to meet. You’ll begin to realize that there’s an infinite number of ways to incorporate yogic principles into daily life, even on days that you don’t make it to your mat. Below are ten practical ways to include yoga in your life and maintain balance within yourself and with the world around you. Holding a connection with our breathing is a highly underutilized tool that can be used to calm or invigorate our mental and physical bodies. We often forget to stop and notice the breath because of our body’s miraculous ability to sustain itself involuntarily. By learning to control this life force and develop a sense of the patterns it takes in response to outside influences, we’re able to manage our emotional state better. Try to sit still and notice your breathing once a day for several minutes, slowly moving towards more advanced breathwork practices and extended sessions. This intentional act of inhaling and exhaling will allow us to interact with the world around us more mindfully. 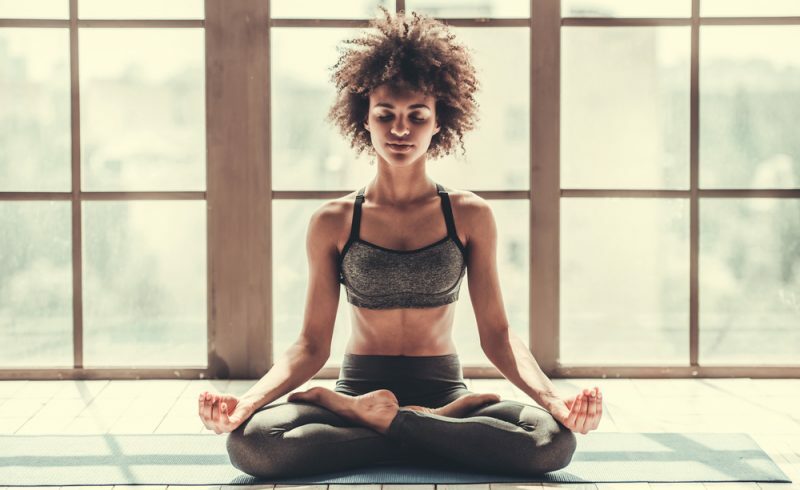 We explore mindfulness as “a mental state achieved by focusing one’s awareness on the present moment, while calmly acknowledging and accepting one’s feelings, thoughts, and bodily sensations.” This way of living encourages those around us also to become aware in their thoughts and actions, leading to a more compassionate environment. We spend countless hours each day listening to the voice in our head, and sometimes that voice makes us believe things that aren’t true about ourselves. These lies are constructs of our insecurities that we regularly think until they become our truth. When we start to shift the way we talk about ourselves, the perception we have of our self-worth becomes strengthened. By speaking confidently about yourself, it’s empowering others to change the negative conversations that go on in their heads as well. Taking care of your own needs means different things to different people. Sometimes it entails getting more exercise, and other times it means staying on the sofa from dawn until dusk. The key is knowing what your body and soul genuinely need in any given moment and allowing yourself to honor those desires unapologetically. “Just because work, friends, and family place large demands on us, carving out time for ourselves isn’t selfish.” Eat things that make your body feel nourished without eliminating things that feed your soul. Explore the balance between pushing forward and letting go to bring both motivation and compassion to your daily life. It’s one thing to accept all aspects of our being, even the parts that we deem faulty, but appreciating everything our body does to sustain us is an entirely different feat. We’re quick to criticize and blame our body, but often overlook the way it supports us every day. It’s time to apply what yoga teaches us to the rest of our lives and start appreciating ourselves exactly as we are. Relish in the capabilities you possess and express understanding and kindness to the areas that are still becoming. Yoga emphasizes the subtle, slow movements that take place both on and off the mat, moving mindfully through life with intention. It’s easy to get whisked away in the hustle and forget to slow down and enjoy each passing moment. Try bringing attention to parts of the day you often overlook, even the seemingly mundane tasks you dread, and notice how this awareness spreads to other facets of life. Drive in the slow lane, stop and smell the flowers, or take time to find shapes in the clouds. Whatever makes your soul smile, do more of that and take your time doing it. Rather than mindlessly stuffing our faces with food amidst distractions, adopt the manner of eating slowly and intentionally. Many people have turbulent relationships with food that leave them feeling less-than-stellar by their dieting choices. Mindful eating leads to allows us to fully enjoy and appreciate our food while reducing the risk of overeating. Healthier alternatives will become more appealing while cultivating a deeper appreciation for nourishment. This realization helps us develop an understanding of what it means to fuel our bodies. Learn to eat free of disturbances and begin savoring each wholesome, flavorful bite. Morning is a time when the veil between the ‘being’ realm and ‘doing’ realm is most thin. It’s where our conscious mind slowly begins to take over, and we transition into our daily rhythm. What we do immediately upon waking sets the tone for the rest of our day. Try investing time in your thoughts and physical well-being before giving attention to electronics. Practicing yoga or meditating in bed are both excellent ways to check in with the body and gently wake up. It’s about making an effort to cater to the world within before tending to the world outside. Our bedtime behavior plays a crucial role in how we’ll greet the next day. Finding a routine that offers adequate rest leads to enhanced mental and physical health. Consider trading in screen time for a book with tea or meditate with using essential oils. You’ll wake up feeling fresh and ready to face whatever the day has in store. Calm your mind and become open to taming the thoughts that run rampant by implementing meditation into your daily routine. Finding a place to start can appear daunting, but in reality, it just takes a few minutes per day to start seeing the benefits. Meditation involves more than just sitting quietly and breathing; it’s a method for channeling the thoughts and gaining control over what we will and will not allow into our headspace. A few other forms of meditation include fully immersing yourself in a favorite hobby, spending time outdoors, and mindfully eating something you love. There are so many incredible options for practicing yoga online that it’s hard to choose between them all. Finding a platform that caters to your needs will allow you to make time for yoga no matter how crazy your schedule is. Online classes are also fantastic for quick tune-ups when your time is limited, but you still need a good stretch. Do some research online and explore options that excite you to get on your mat. Often our jobs are the culprits when it comes to tension or stiffness in the body. Finding time at work to release some stress from areas that can become constricted or overworked will make the workday that much smoother. Improve your focus and energy levels by incorporating some simple neck, shoulder, and leg stretches whenever you start to feel burnt out. What are you doing while you wait for the water to boil or when watching television? These are perfect examples of times when yoga can be quickly included in your busy day. Bust out a forward fold while waiting for food to cook or visit some seated stretches when your favorite show plays. Sometimes yoga practices aren’t free of distractions, or even on a mat, but your body will thank you for investing the time to stretch. A divine way to express ourselves creatively is through singing and chanting in a way that excites the spirit. “The voice lies between the heart and the head, so on a very basic level, the act of chanting brings together your intellectual awareness with your heart awareness.” This concept allows us to become more familiar with our voice, and in turn our physical selves. We’re more apt to recognize entering a state of exhaustion or illness when we become attuned to the rhythm of our speech and what it’s telling us. Speaking our truth and offering genuine responses is a sincere gift to those around us. If everyone always said what they truly meant and spoke from a place of honesty, then harmony would greatly overpower guilt and resentment. “Stop saying yes when we want to say no, and quit running around doing things that don’t matter to us because we don’t feel complete. When we say no to someone, we can explain that it’s because they’re not going to have all of us—and let go of the fear that they won’t like us.” If what you’re saying makes people unhappy, then at least you told them the truth and spoke from the heart. It’s about releasing any attachment to a particular outcome and being okay with people sometimes not understanding your reality. We all know that feeling when you’re talking to someone, and it’s obvious that their mind is elsewhere. It’s terrible to feel like you’re not worth someone’s time and thought. Whether it was intended or not, we’ve all been guilty in this scenario by not offering someone our full attention. 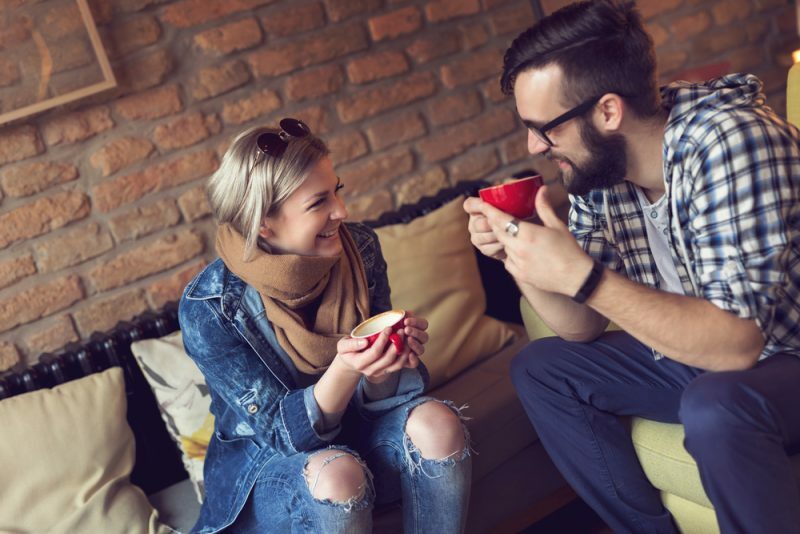 Try to maintain eye contact while someone’s talking to you and show them your interest in what they’re saying by asking questions or relating to the topic. Yoga teaches us to slow down and be mindful, and this extends to our relationships with others. Listen intently and try to understand from the perspective of the person speaking. We don’t always have to make things about our personal experiences; sometimes it’s nice to let someone else have the spotlight. Extending positive energy to those around us creates a ripple effect that influences others to pass along the good vibes. To spread kindness and gratitude to others, we must first turn that generosity inward. By showing ourselves compassion, we’re enabling our ability to pass forward love from an authentic place. We can express selfless acts of kindness in many ways including offerings of time, positive affirmations, or charitable donations. In yoga, we practice fostering gratitude for ourselves, our teachers, and our peers. This gratitude shapes our perception of the world and increases our desire to interact with it graciously. If embracing yoga into your daily life is important to you, then make it a top priority regardless of how busy you are. There’s always a hundred excuses for why we can’t make our way to practice, but if you can find consistency, you won’t want to miss a single day. Hold yourself accountable for incorporating yoga into your routine, even if time is limited. If you can’t make it to a studio as often as you’d like, try following an online 30-day challenge to keep your motivation and spirits high.